Atopic dermatitis is best defined as an allergic skin disease caused by exposure to allergens that are either inhaled or present on the skin. An allergen is a substance that causes an allergic reaction through the body’s release of the chemical/hormone called histamine. These allergic reactions actually represent a disorder of the immune system as it tries to overcompensate against something it considers to be an unwelcome invader. In rare instances, canines can also become allergic to chemicals in soaps, waxes, carpets, synthetic collars and flea collars (these are known as ‘contact’ allergies). Contact allergies and allergies to household substances like dust/dust mites and mold are typically year round. Diagnosing the true allergen cause can be difficult because an environmental allergy can develop anywhere from 1-3 years from the initial exposure! 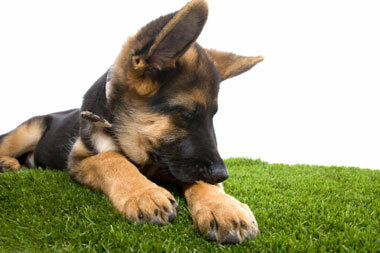 Atopic dermatitis is also often difficult to distinguish from allergic reactions to fleas or even food allergies. 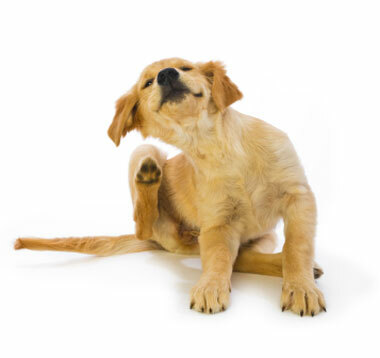 However, fleas need to be eliminated no matter what it takes because dogs with atopic disease are highly allergic to fleas which make the disease even more complicated. A proper diagnosis by your veterinarian will include your canine’s previous medical history, the location of any skin lesions and the time of year. Your veterinarian may also do skin scrapings, fungal and bacteria cultures and/or a skin biopsy to determine the best course of action. In addition, a skin test or blood test to identify the specific allergens may be performed by your veterinarian or by a veterinary dermatologist. 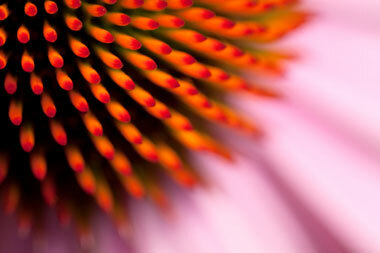 Allergy shots can provide long-term allergy control (also called hyposensitization or immunotherapy). Once the responsible allergen(s) have been identified, the allergic dog is given injections of small, but increasing doses of the allergy-causing substance at varying intervals for up to 12 months to desensitize the canine against that allergen. Lifelong response may take up to 12 months of treatment. 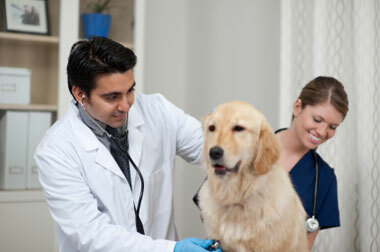 Note: Some dogs may require periodic allergy shots during times of the year when allergens are heavy. » When your dog comes in from outside, wipe their fur down with a damp towel to help remove any and all pollen or allergens that may linger on their coat. Use a fresh towel each time. 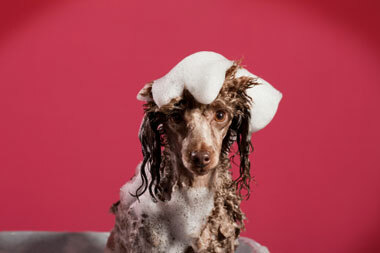 Rinsing your dog off with cool fresh water can also help remove the allergens. 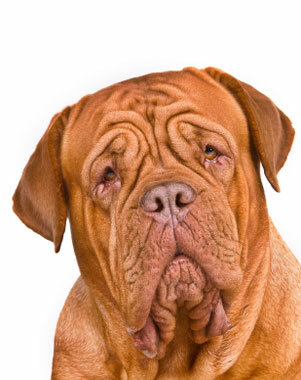 » Ask your veterinarian for an antihistamine to control the itching and scratching. 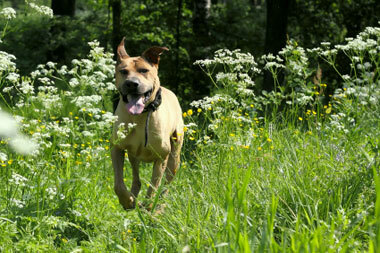 Antihistamines can be used with relative safety in dogs. However, like in people, a potential side effect is sedation. You may need to try several different antihistamines before finding the right one. 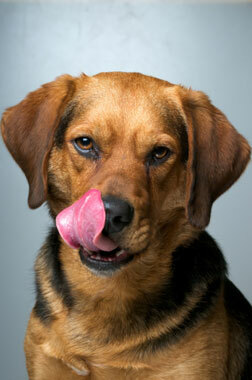 Your veterinarian will be able to tell you the correct dose for your dog depending on their current weight. 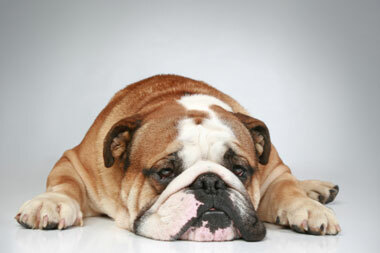 Examples of antihistamines commonly used for dogs include: Tavist, Benadryl, Chlortrimeton, Atarax and Seldane. » Topical anesthetic preparations can help treat and relieve local areas of itching. » Rehydrating and medicated shampoos can help provide temporary relief by rehydrating the skin and treating any potential bacterial infection. » Cool baths, with or without colloidal oatmeal or Epsom salts can also provide some temporary relief from intense itching. » Caution should be used with anti-itching sprays and ointments because they may contain potentially harmful substances. Always check with your veterinarian before using. 1.Use a dehumidifier to reduce any household molds and dehydrate mites. 2.Place activated charcoal on top of the exposed dirt in your house plants to combat molds as well. 3.Run an air cleaner with a HEPA filter to control dusts and pollens. 4.Air conditioning can also reduce circulating amounts of airborne allergens from the outside. » A key component to effectively treating skin allergies is proper nutrition. Many commercial pet foods are actually substandard in substance and include chemical preservatives such as BHT, BHA and ethoxyquin. These preservatives as well as artificial dyes and flavors can all contribute to sensitive skin problems and an overactive immune system unable to cope with potential allergens. By choosing a diet that is free of artificial and poor quality ingredients, this alone may create a huge difference in your dog’s allergy symptoms. Consider feeding your beloved canine a high-quality dog food without artificial flavors, colors, preservatives, or grain-based products such as corn gluten meal. Just like people, dogs can negatively react to the gluten found in wheat which can cause all sorts of health problems especially when it comes to the skin. and/or herbs and digestive problems are possible. 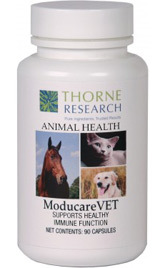 A natural remedy is not a substitute for veterinary care. The following nutraceuticals or natural/herbal formulas can also provide effective protection and/or treatment for your canines against atopic dermatitis. 1.Reduce the amount and effects of histamines released during an allergic response. Omega-3 fatty acids can specifically help dampen the immune response to allergens, particularly inhaled allergens such as pollen. 2.Reduce inflammation. While Omega-3 and GLA act as natural anti-inflammatory agents, they are not as effective in reducing itching once an allergy has developed. Omega-3 fatty acids can also increase the effectiveness of other traditional allergy treatments, such as antihistamines. » Antioxidant vitamins A, C and E; Zinc, NAC, Thymus and herbs Echinacea and Astragalus Root are all known to help the immune system fight bacterial and viral infections; they also reduce inflammation associated with allergic reactions. » Reishi Mushrooms also work well as an anti-inflammatory and antihistamine agent to relieve allergy symptoms. Stimulates phagocytic effect of leukocytes, nitrate scavenger, aids in synthesis of collagen and carnitine. For atopy, more effective if given TID. Can dose up to bowel tolerance. Supports skin and coat for dogs and cats with food or environmental sensitivities and for those pets with seasonal allergies. 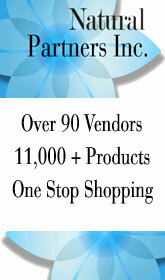 Helps achieve normal moisture content of skin. Clears heat, relieves toxins, drains dampness, extinguishes wind, nourishes qi and blood, helps stop itching. EFAs help moisten the skin, provide anti-inflammatory effects, and the GLA has particular affinity for atopic dermatitis. Antibacterial, antifungal, antipruritic. Can also be taken internally. Tonifies Qi and stabilizes the exterior. Essential for growth, immune system as a cofactor of superoxide dismutase. Excess zinc is toxic and can cause copper deficiency.